Here's our tips and tricks for taking a road trip with type 1 diabetes. Whether it's a few hours, a week, or a couple of months, we've got you covered. Roadtripping is so much fun! Whether you are heading off on a two day trip, a week long trip OR a couple of months trip, the freedom of driving in your own car is wonderful. However, being type 1 diabetic means there are certain things we need to consider and contend with. Below are some tips to managing your diabetes on the road, so you can focus on having fun! The first road trip we would have had, was in Chile, which certainly ended up being one of the best things to do in South America! So safe to say we were excited for our next chance to hit the open road, being in control of where we went and where we stopped. 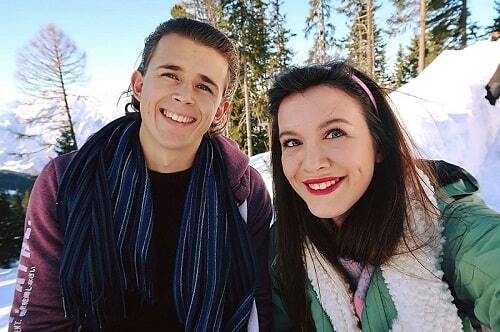 More recently, Bradley and Ijust finished a mini road trip from England to Austria. We stopped in France (Troyes), Switzerland (Zurich), Germany and finally, Austria. We will also be doing TWO more road tripping adventures around the world in the next year: New Zealand and Canada, each which will last over two months each. So I’m sure I’ll gather even more insight and tips then. 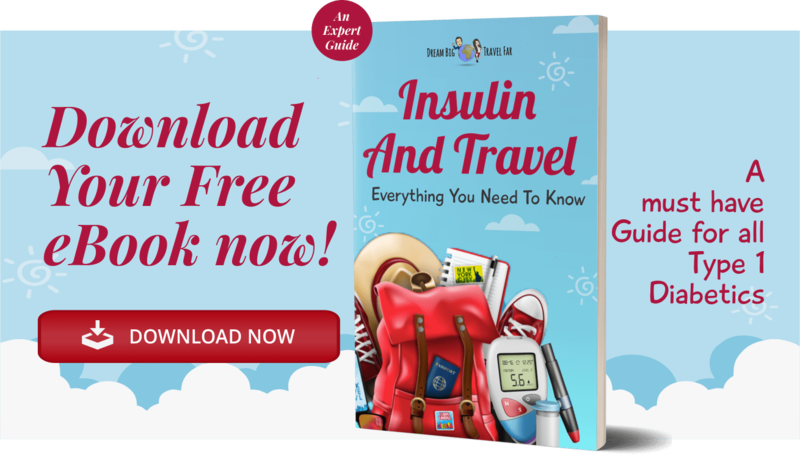 This actually will depend on the length of your trip, but it’s always better to be over prepared than under prepared when it comes to type 1 diabetes. When we are heading off on a journey, I pack three sets of supplies. I pack enough supplies in my “day-bag”, I prepare a small box of all the supplies I need to keep in the boot of the car and then I stuff “spare supplies” in socks and “hide” them in the car in case something happens to either of my other supplies. Over cautious perhaps- but there is no harm! My trusty Frio wallets come all around the world with me! I’ve spoken a lot about how to keep your insulin cool in cold and hot temperatures and it also relates back to car journeys. If your driving all day and won’t be near a hotel until late at night, then you will need to have something to keep your insulin cool. 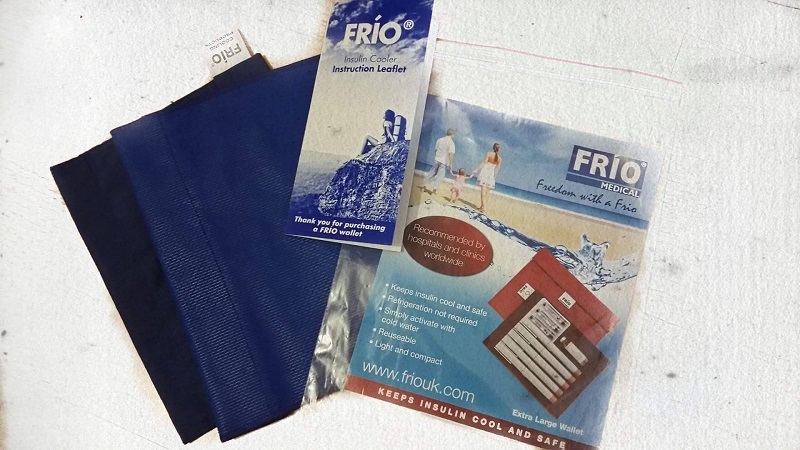 Some people have mini fridges in their cars, which would be perfect, but if like me, you don’t, then the next best thing of course is Frio Bags! They will keep your insulin at the required temperature during your road trip. 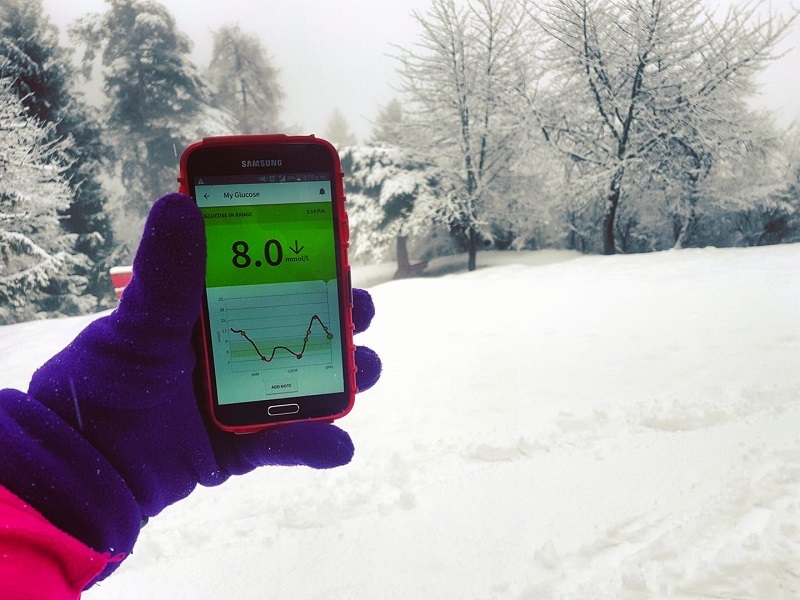 As we were driving through Austria, the temperature dropped to minus 6 which could have killed my insulin if it was out in the open, so it’s safer when contained in a Frio bag. Also, the first pit-stop we made in Troyes didn’t have a fridge in the hotel room, so I need my Frio bag to keep my insulin cool then too! An alternative is bring a freezer bag with you and filling it with ice packs- these will probably work for a day long and then you can pop your insulin into a fridge when you arrive at your next destination. Then refreeze them that evening and start all over again for the next day. Step out of the car, move around and enjoy the views! Just like on plane travel, if you are sitting for very long periods of time with little movement, you can increase your risk of developing blood clots, which isn’t great if you suffer from neuroapthy either. Also it’s a good opportunity to walk around if your bloods are running a little higher, to help get the insulin moving around your body. Try moving your legs by doing simple exercising in the car every couple of hours. If you start cramping, then take a break and move around to increase blood flow. Don’t over do it. When travelling, your body is under lots of pressure. So, it’s important you monitor more frequently and take breaks and be aware of time zone changes, especially if you are on specific time restricted insulin doses (this is less of a problem on insulin pumps). I find that using the Freestyle Libre, it makes it far easier for me to monitor more closely and frequently and “catch” any problems before they happen- I assume the CGM would also give you the same benefit. Whatever your chosen hypo treatment...make sure you have lots! The hypo supplies are for hypos (obviously :P) and the water is for high blood sugars, to help flush out and prevent ketones! 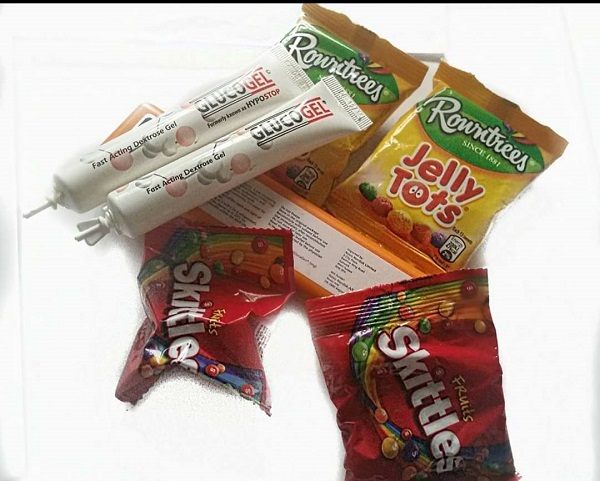 Keep hidden hypo supplies, because even when you are eating new foods in new places, it’s easy to overestimate and fall into hypo more frequently. Hide some in the boot of the car etc. And remember....Dream Big and TRAVEL FARRRR! 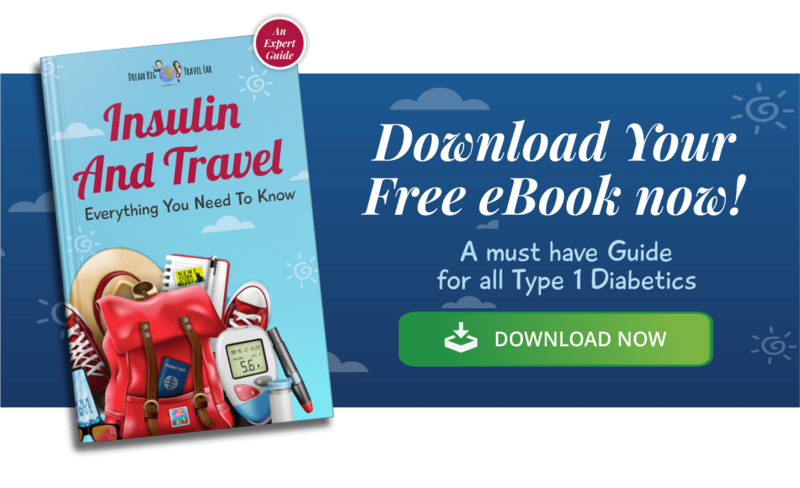 Don't forget you can get a copy of my E-book "The ultimate guide to travelling the world with type 1 diabetes" for your adventures to keep you covered no matter what the situation!